People of all ages in countries around the world enjoy sailing RC model boats. Some hobbyists purchase models that are ready for the water. 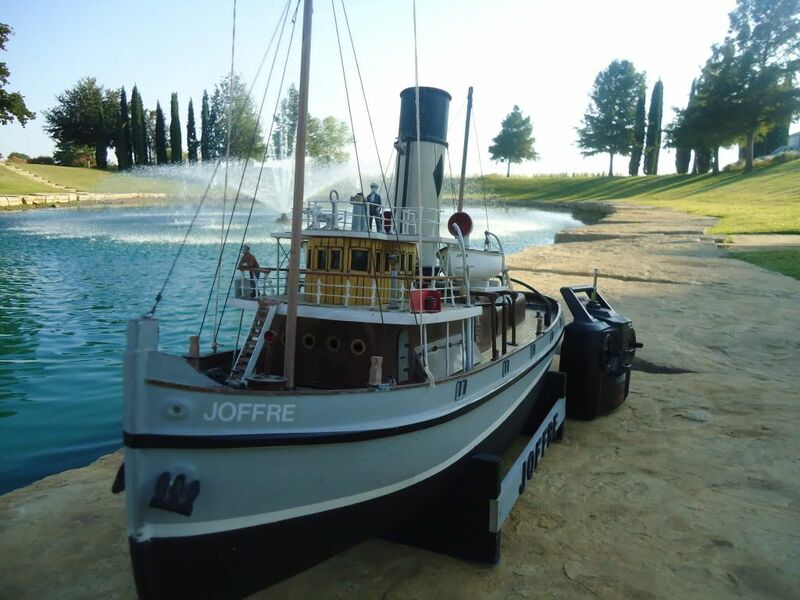 Others prefer to build their own models and purchase a kit of a radio control boat or ship. RC model boat enthusiasts build and sail model boats for fun or race their boats in competition. Model boat clubs have formed in communities throughout the US, UK, Australia, and other countries. Many of these clubs have races, competitions, and other events that bring hobbyists together for fun and friendly competition. Others prefer to quietly sail their RC model ships on their own or in small groups of like-minded friends. Whether you plan to set sail on your own or in a competition, keep in mind that radio control operated boats are not permitted everywhere. Some cities, such as Hyde Park in London and Central Park in New York, have dedicated ponds for model boats, but they are completely banned in other places, such as the reflecting pool on the Mall in Washington D.C. There are three main types of RC models: sailing RC boats, scale models, and racing boats. You should consider how you want to use your model to determine the best type of boat for your purposes. For example, if you want to sail your boat across the water for relaxation and fun, rather than competition, an RC sailboat may be the perfect choice. Scale models are also not built for speed, making them a good choice for passive hobbyists. 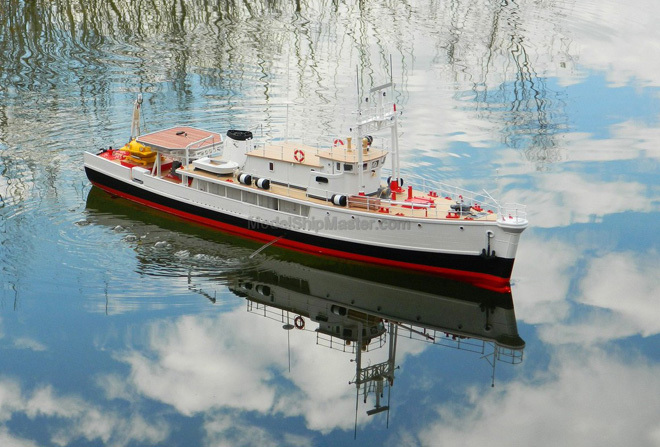 Premier Ship Model offers RC boat kits and ready-made radio control boats to satisfy the requirements of any enthusiast. RC model boat is a recreational boat preferred by elite people to relax and spend the weekend. Engines for pace lovers power sails power classic yachts for vintage lovers, cruise yachts. It is there for everyone to spend a valuable time. RC model boat is a favorite pass time for boat lovers. Any maritime enthusiasts are attracted towards yacht because of its beautiful appearance over the horizon. As like other boat models are built to be casings as well as played in waters with remote control. A RC model boat is built by fixing the rigs to the hull. Of course, it is easier said than done. Let us see how it is built. The hull is made of wood or fiber material. The hull usually will be a solid block of made hollow. Making the hull hollow is a painstaking labor; hence, many model builders avoid it. Once the hull is designed, the rigs and mast are to be fixed to it. The mast can be made of plastic or metal alloys and to be fastened with glue, which is reversible. The square of gaff rigs, as desired by the designer, can be fixed to the mast and fastened to the hull. One can use schooner or sloop type rigs predominantly used for sporting variants. Many people want to race their boats, which is one reason remote control racing boats are the most popular type of RC model boats among beginners and experienced hobbyists. If you are planning to race your boats, you will want a speed boat or racing boat with a motor. 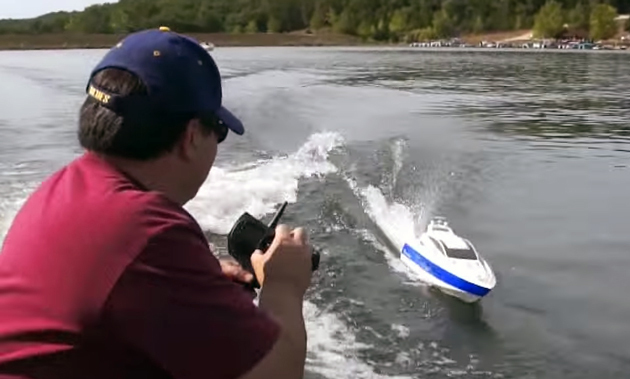 You have the option of RC boats that are either electric or gas powered. Whether you are looking for an RC sailboat or RC yacht model, there are many different types of boats and ships available in radio control models. Model speedboats, powerboats, tugboats, trawlers, sailboats, tankers, yachts, catamarans, and other types of boats and ships can be found with radio control capability. Once you decide on the type of model you want and how you want to use it, you should consider whether you want to build your own or purchase a ready-made boat or ship. Models of all types of different boats and ships can be found in models that are ready to sail and RC boat kits in varying levels of difficulty, from beginner to expert to provide the right level of challenge for every hobbyist. Whether you are building your own model, buying one that is ready to sail, using your boat for leisure or competing in races, you will want a high quality model made with the best materials and craftsmanship for lasting value and enjoyment. Though the model boat building and collection are expensive, people are still lured for this inimitable piece of artifact. The collector works from his heart rather than from his mind when it comes to passion.